Buying a home can be a daunting task, so why go about it alone? Skip at Patriot Home Inspections, LLC will inspect a home from basement to attic and help you to identify problem areas before you make your major financial decision. A home is most likely the most expensive item you will purchase and you want to be informed of any issues before you sign on the dotted line. 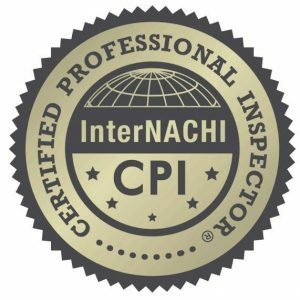 We are trained and certified by InterNACHI (International Association of Certified Home Inspectors) and our services come with an honor guarantee, a Buy your Home Back program, a recall check of appliances, a 90-day warranty and a free thermal imaging scan. Some inspectors charge extra for a thermal scan of the home. We don’t. We inspect the major systems of the home and operate appliances, heating and cooling systems and check for plumbing and electrical issues that are visible and may affect the value of the home. Maine does not require a license for home inspectors which means there are no requirements for calling yourself a home inspector. This is why it is so important to find an inspector that is not only trained by the best sources but insured and vested in their business, not just some guy with a truck and a camera. We are an LLC, fully insured for E&O and liability and have hours and hours of continuing education credits which means simply, we mean business. You may ask for our list of certifications to see if we are qualified to inspect your home. We offer convenient online scheduling, InterNACHI certified, infrared certified with certifications in thermal imaging and building science, IAC2 certified for indoor air quality and offer comprehensive water quality testing with A&L Labs in Auburn, Maine. Selling your home? Consider a pre-listing inspection so that you may identify any problems that can be taken care of before you list your home. This doesn’t mean you have to fix everything, but it can find things to do that will greatly increase your profit. Don’t let anyone tell you that a pre-listing inspection isn’t necessary. It could mean thousands of extra dollars in your pocket for just a few minor fixes. Check out our services for more details. We want your business and we’ll do what it takes to make your purchasing decision as stress free as possible. We offer service all over Maine with no mileage charges for 70 miles from Peru. After that, we charge a small mileage fee. (no higher than $25). A lot of inspectors will charge extra for different types of foundation. We don’t. Our prices are clearly listed on our price schedule and we also offer many different discounts for our services. We also offer gift certificates! Do you know someone who is purchasing a home in the near future? Giving a gift certificate for a home inspection is probably one of the best gifts you can give! We want to earn your business! Give us a call today or book us online!